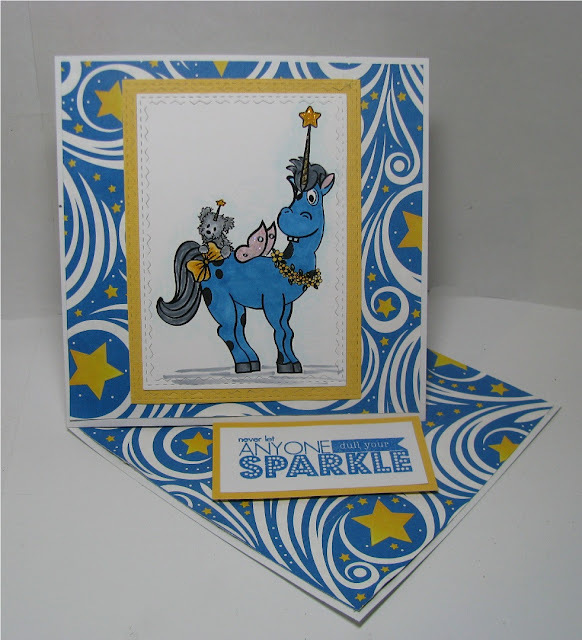 At Die Cut Diva's, Sasayaki Glitter is our sponsor for January, a great start to the New Year. Dies: Stitched Rectangles around image (Sizzix Tim Holtz), Stitched Rectangles white cardstock above sentiment behind easel (My Favorite Things). Paper: Magic Stars (Reminisce), white, yellow cardstock (stash). Stamp: sentiment (Lil' Inker Designs Shiny Happy Sentiments), Versamark Ink, Hampton Arts blue embossing powder. 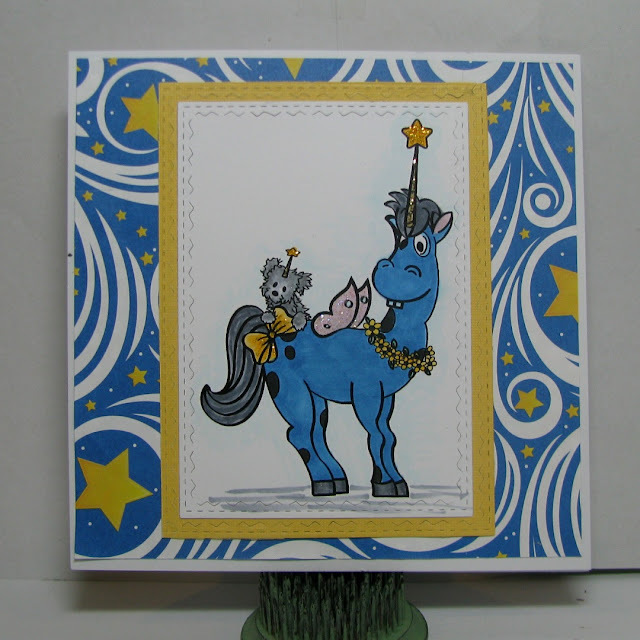 Embellishments: Star Dust, Gold, and Yellow Stickles by Ranger, Silver Wink of Stella (on pup).